In October the Dubai based fintech group OneGram in cooperation with the magazine Forbes organized their first from the series of Hackathons. OneGram was designed from the very beginning as a non-BTC reliant digital asset backed by a tangible asset — physical gold. It was this model that allowed OneGram to enjoy the benefits of a more stable digital asset that would oscillate around its long-term average value, making it one of the hottest candidates for the best stable digital asset on the market. With the stability of gold prices on the world markets and due to the fact that each OneGram is backed by physical gold it is predestined to success. At present, OneGram team is working on a new strategy of usability of this digital asset in real life focused on merchants and later on a broad client platform. 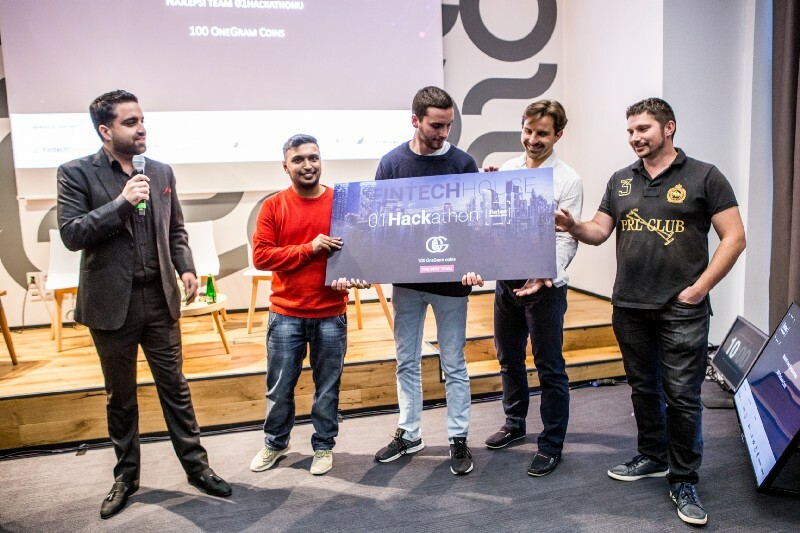 Within the framework of this new vision, OneGram organized the first of the Hackathon series and invited Central European experts to confront its usability strategy with the smartest fintech and marketing specialists to develop product usability. More than 3500 applicants were applied, however only 25 of them fulfilled the uncompromising conditions and were invited to join in having passed the selection made by 10 fintech specialists, blockchain developers, marketing specialists, business strategists and experienced exchange traders from the OneGram Group. Hackathon was supervised by a 5-member committee which was chaired by Ibrahim Mohammed, the founder of OneGram, the main sponsor of the Hackathon. The winning team as well as the five best contestants won 100 OneGram coins each. OneGram is currently preparing a new business strategy for the best usability of this digital asset. Therefore, the team of strategist and marketers has prepared a new business roadmap with the only aim to enforce this asset on the market. Besides the fact OneGram brings stability into the crypto space due to its low volatility, it brings several features every merchant should appreciate. As a digital asset based on blockchain technology it is not impeded by physical boundaries; moreover, it brings low transaction fees, transaction speed is seconds, and cryptography tools facilitate the highest security level. Last but not least, OneGram’s collateral offers high liquidity, which is a crucial feature for any merchant. All these features helped Hackathon attendants to elaborate several usability programs useful for future merchants to introduce OneGram as a unit of account and mean of exchange. The committee headed by Ibrahim Mohammed was impressed especially by the group that elaborated a remittance program for Pakistan clients using OneGram coins. Since OneGram is well established there, the selected topic covered the real case of OneGram. Based on the success of the first Hackathon, OneGram group aims to continue with similar Hackathons in other countries as well — in UAE, Honk Kong and Pakistan, where there are OneGram branches established. The next Hackathon is planned to be organised in Pakistan where OneGram actively develops its fintech projects. The organizers were surprised by the great response and the committee selected the best five of the competitors who will visit OneGram headquarters in Dubai for three days to help in solving real cases OneGram Group is currently working on.